This lovely chair is very comfortable for your child and is available in 2 colours to perfectly fit any bedroom! 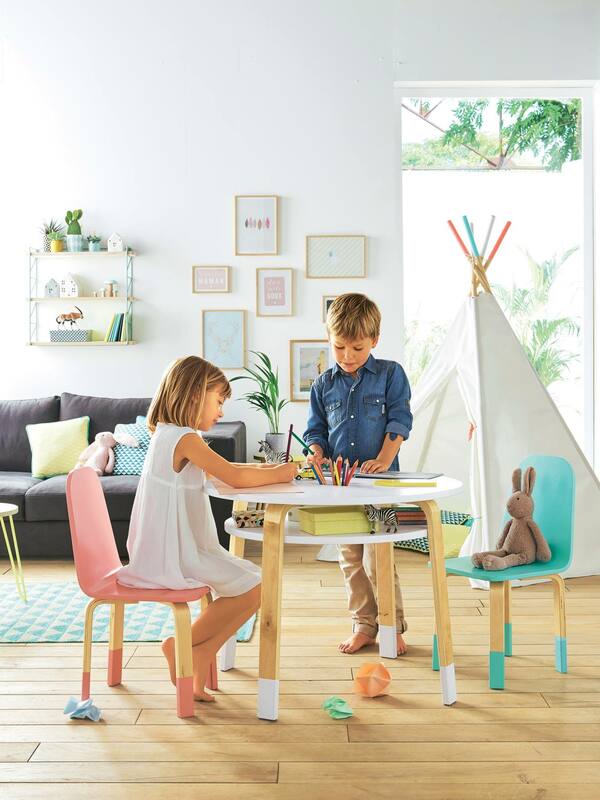 This chair adapts to any play table and our pre-school desks sold on our website! SIZE: height: 60 cm. Seat height: 30 cm. Chair in wood fibreboard + piece in birch plywood with matt varnish.